Student journalists of San Jose City College attend- ed a presentation by American journalist and CNN Chief White House Correspondent Jim Acosta at San Jose State University on Oct. 25 inside the Hammer Theater, where he discussed his concerns with the high amount of threats that journalists all over the country are facing. Acosta received the 2018 William Randolph Hearst Award for “Excellence in Professional Journalism” on Thursday evening Oct. 25. William Hearst Endowment for visiting professionals focuses on bringing distinguished individuals to campus to provide inspiration and expert guidance on career success based on ethical and responsible public service through the media. 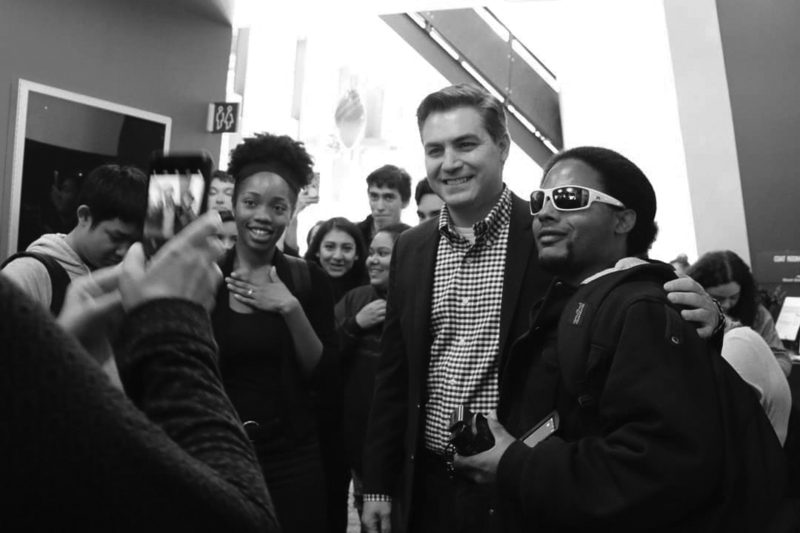 Having a strong receptiveness to constructive criticism from editors, mentors and people that you’ll meet along the way, and having an open mindset were the piece of advice Acosta gave to the future journalists. Born April. 7, 1971, in Washington, D.C, and father of two children, Acosta was raised as Christian by his conservative parents. Acosta gained his education in Annandale High School before going on and graduating from James Madison University with a bachelor’s degree in mass communication and a minor in political science. Many people attended the event and the crowd’s reaction was positive. “To be a journalist I think you have to be commit- ted to trying to do things straight down the middle, being fair, being objective and being accurate,” Acosta said.